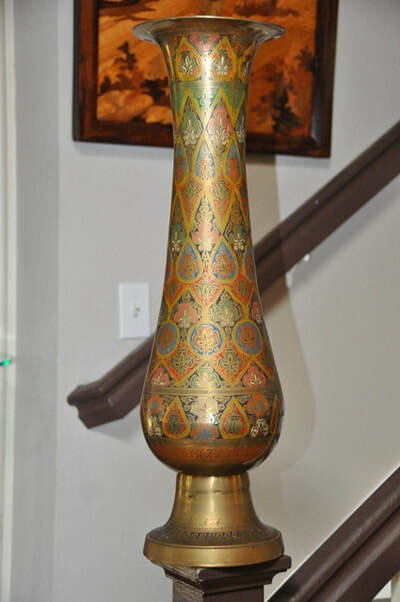 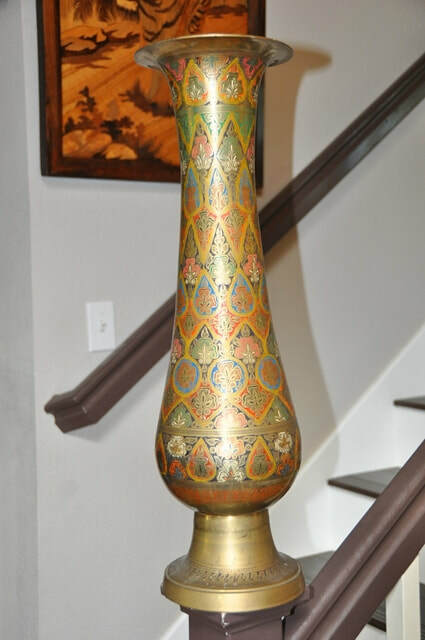 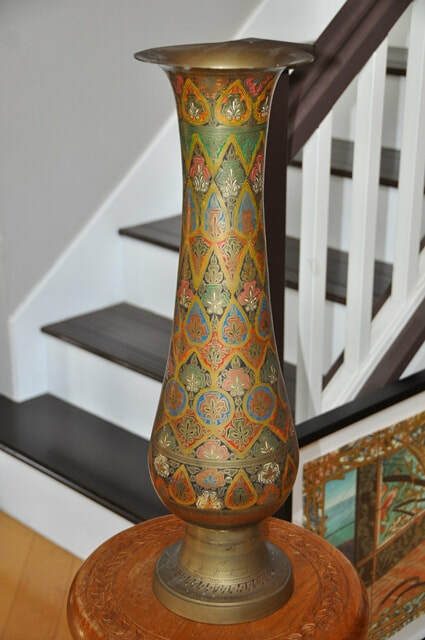 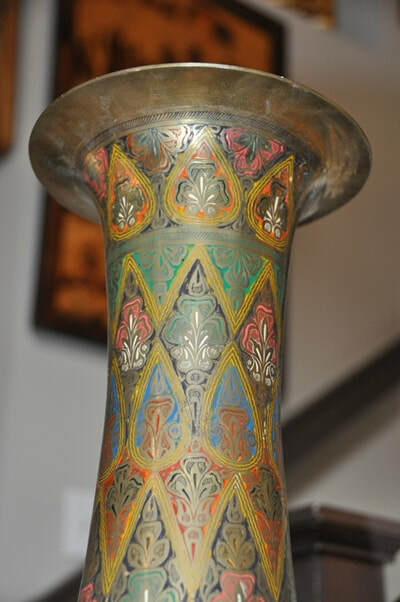 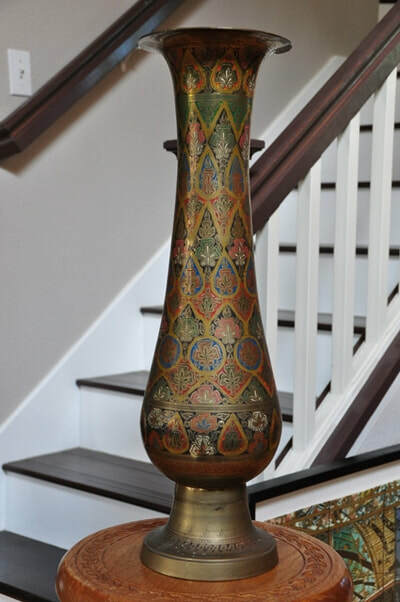 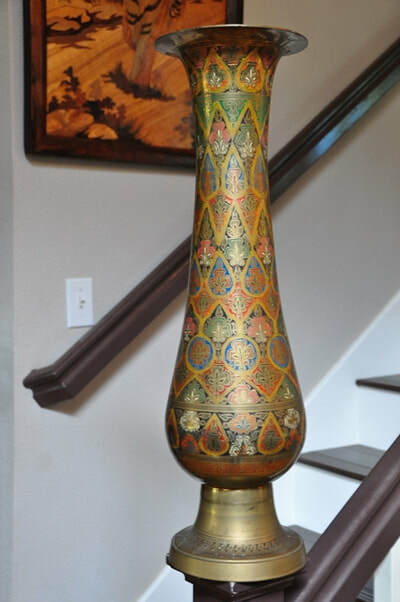 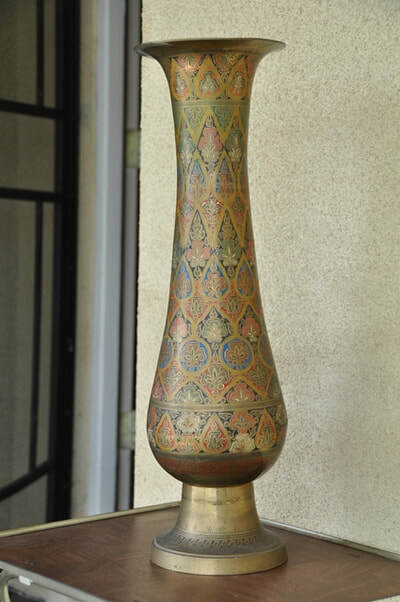 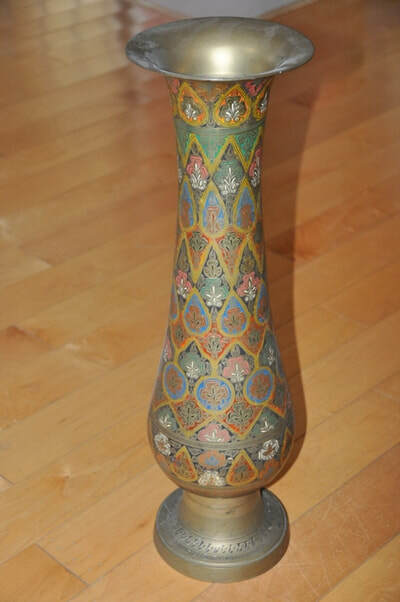 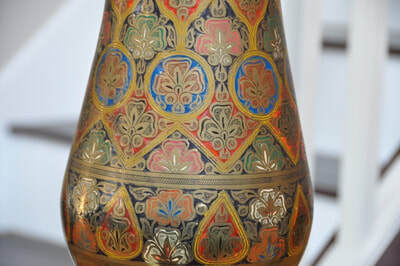 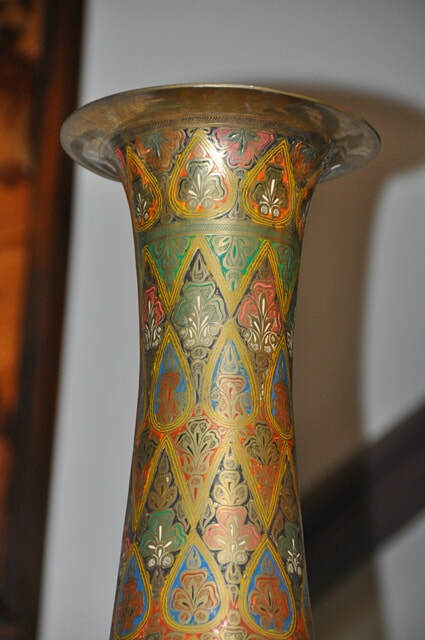 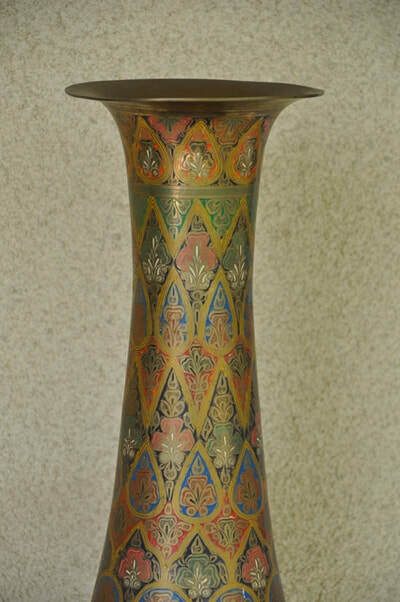 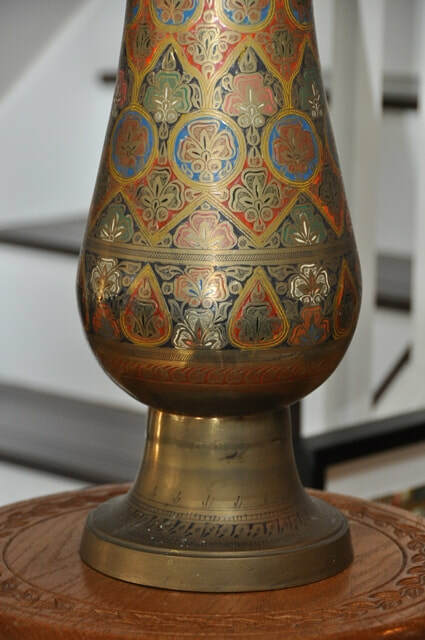 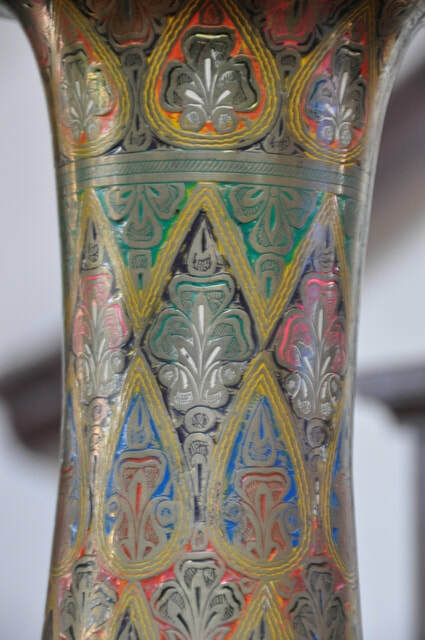 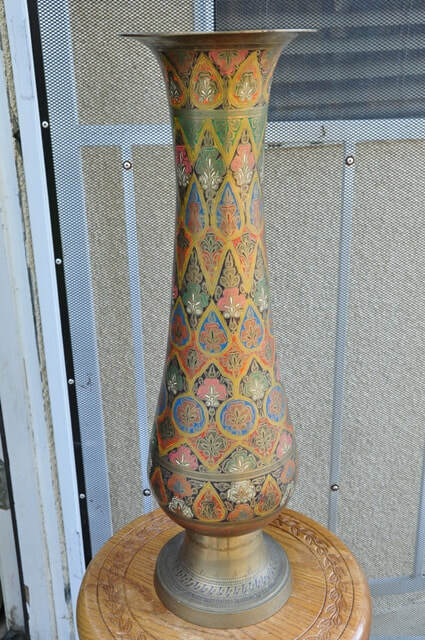 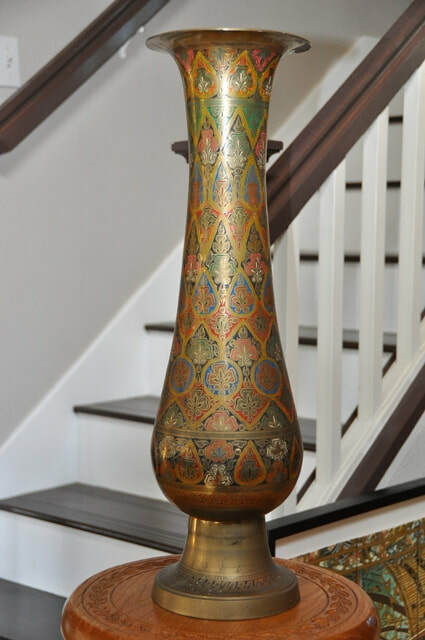 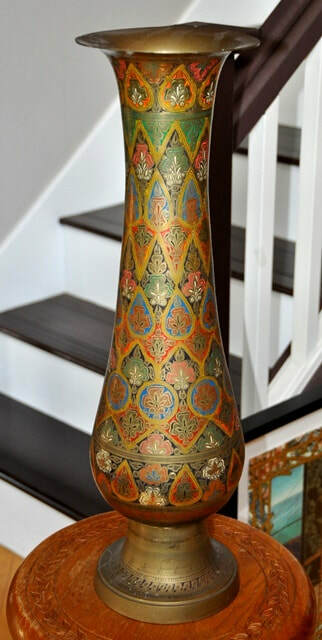 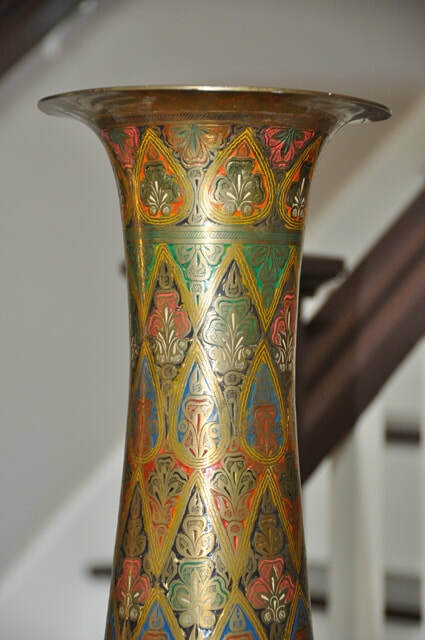 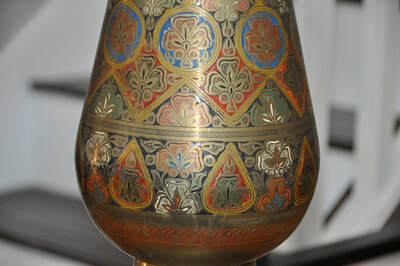 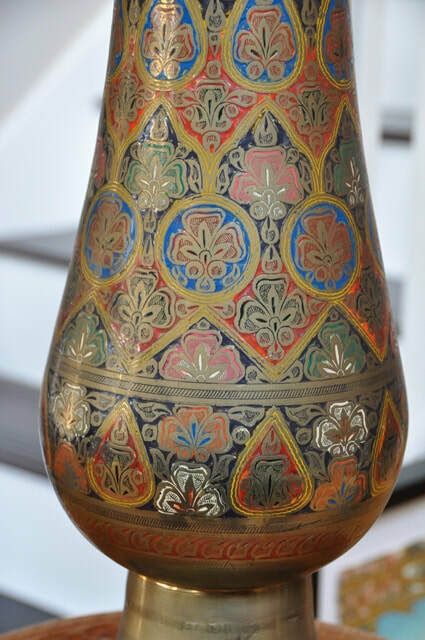 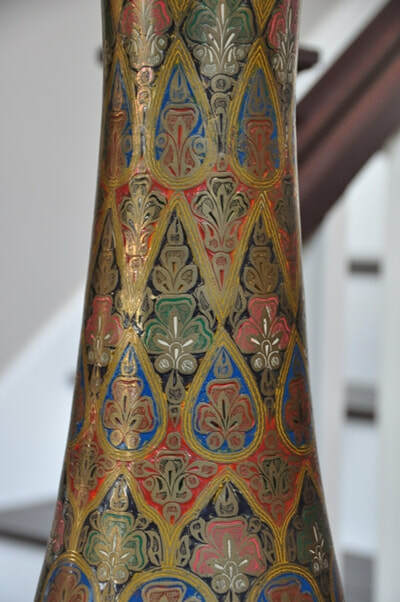 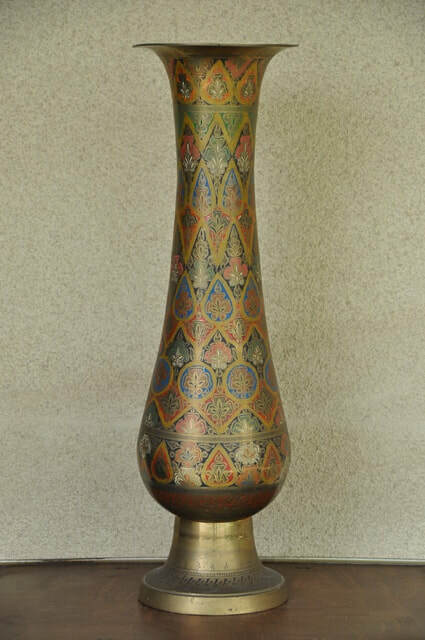 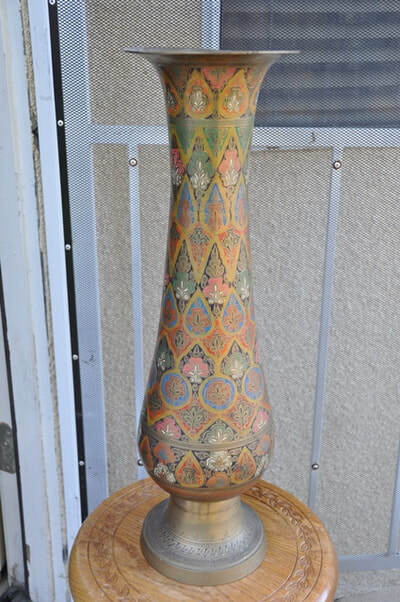 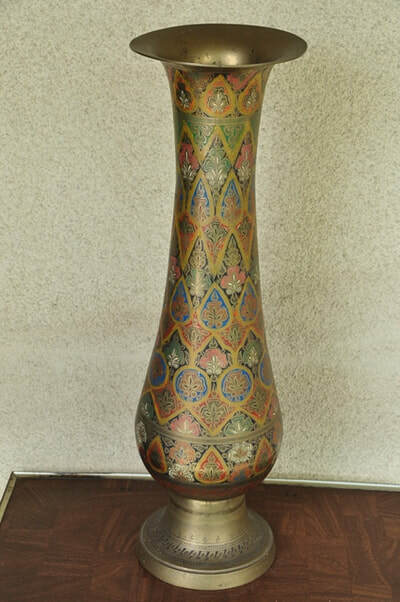 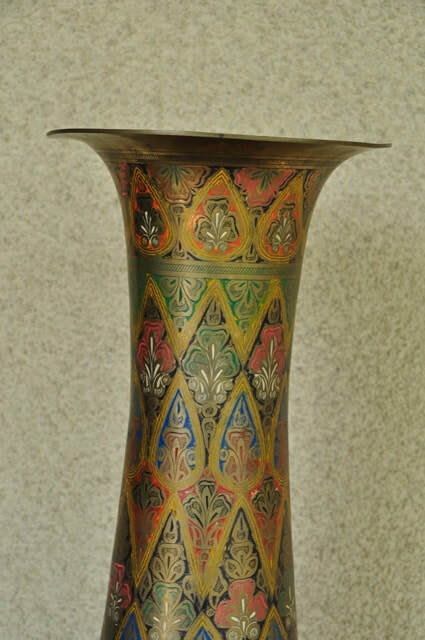 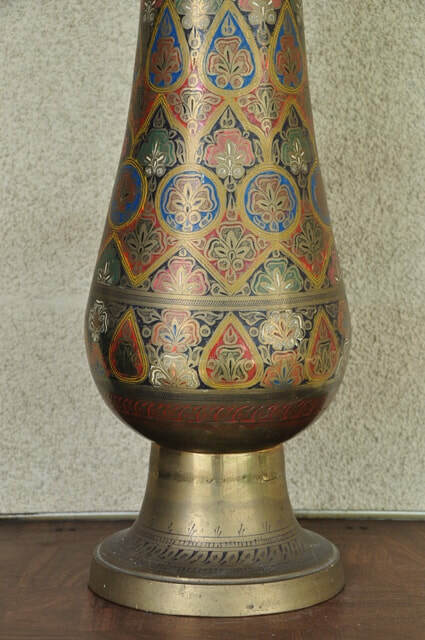 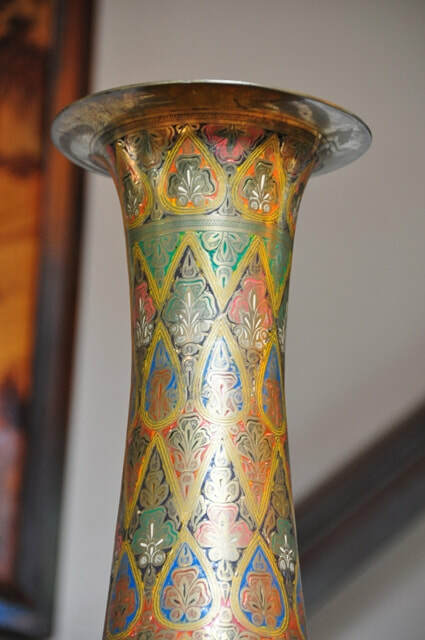 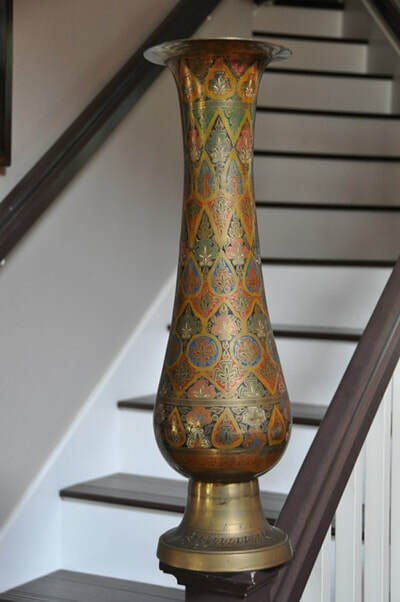 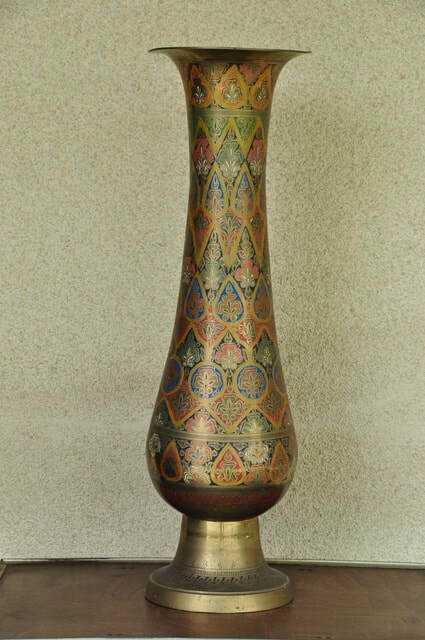 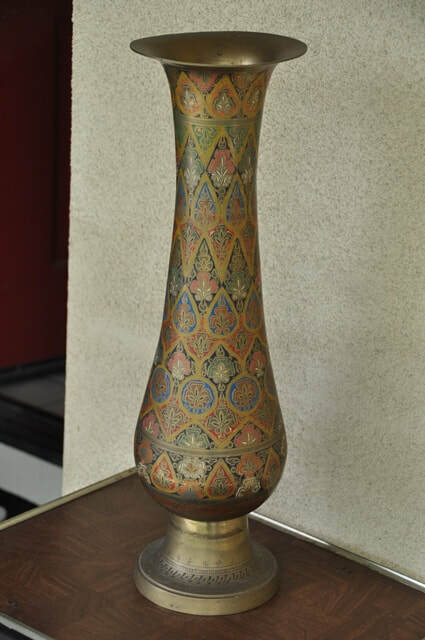 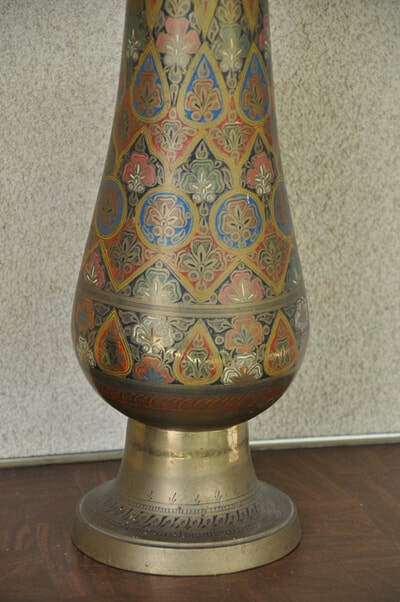 This is a vintage engraved brass vase decorated with enamels of various colors from India. 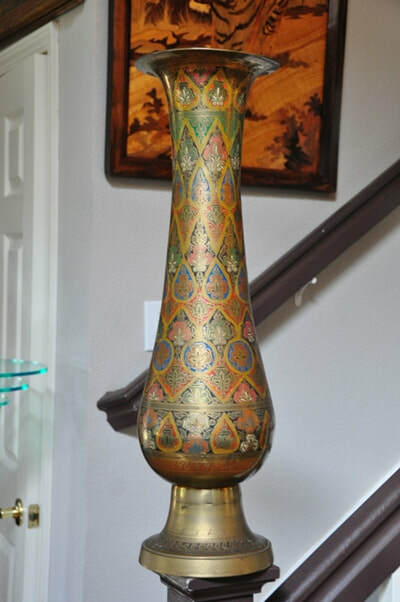 It is about 24" tall and has a maximum diameter of 7". 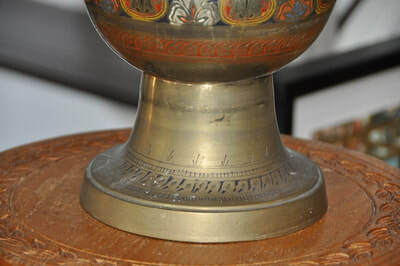 The top and bottom diameters are about 7" and 6.5" respectively. 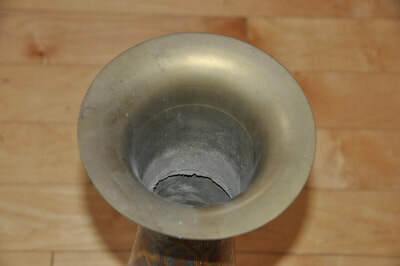 It is about 7 lb in weight.